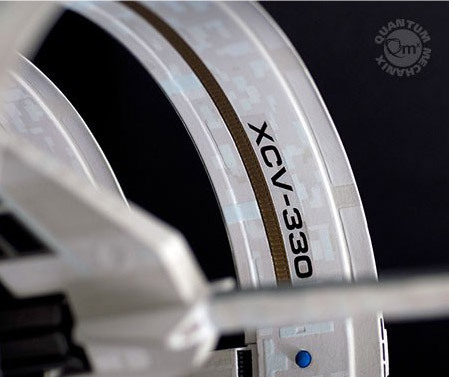 Quantum Mechanix Inc. (QMx), a creative studio and developer of specialty movie collectibles, has announced availability for its much anticipated U.S.S. 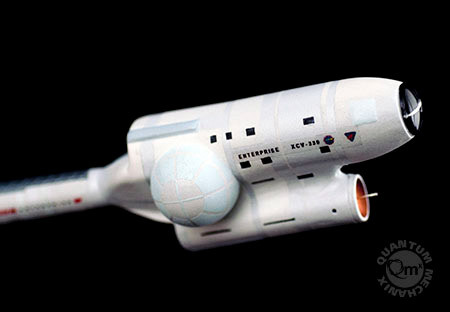 Enterprise XCV-330 Artisan Replica. 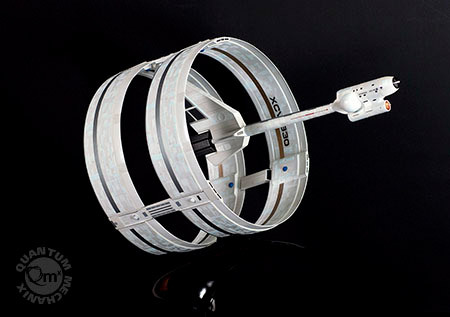 The ship, with its unique ring shape, appeared in the artwork for Star Trek: Enterprise and in Star Trek: The Motion Picture and was seen on screen in the film Star Trek Into Darkness, when QMx was asked to create a series of miniatures to be showcased on Admiral Marcus’s office, showing the history of Starfleet. 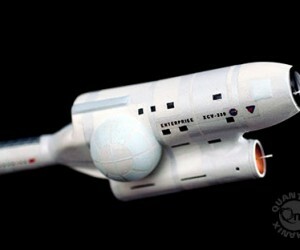 This new artisan replica will be produced in a run of just 25 units. It is made of cast resin and is reinforced with a metal armature. 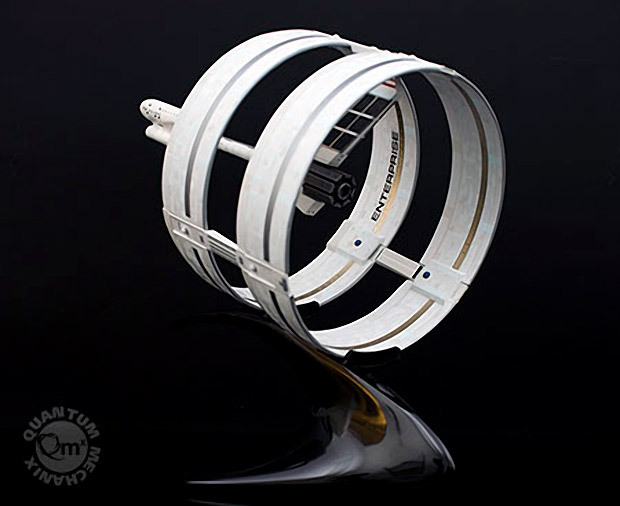 Each piece is hand painted with colors taken from both the Star Trek: The Original Series Enterprise and the Star Trek (2009) Enterprise. The ring measures approximately 7.75 inches in diameter. 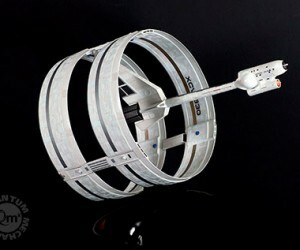 The ship is 12 inches long and is 13 inches high when placed on the included custom-built display stand.